Despite being pretty helpful for Lazio in plenty matches, Giuseppe Sculli looks set for a return to Genoa this winter, as it was confirmed by the Biancocelesti’s director of Sport, Igli Tare. Speaking to the press, Tare revealed that Sculli’s departure to the Marassi outfit is very close although there’s still some details that both parties must settle before making everything official. Without getting into much details in reasoning why Lazio decided to offload Sculli this winter, Tare only explained that the capital club’s good relationship with Genoa’s patron, Enrico Preziosi, are the thing that smoothened the deal. Looking at the clear situation, it obviously won’t take long before both clubs announced the deal which see the striker moving back again from the club that pretty much made his name in Serie A. “The good rapport between Presidents Claudio Lotito and Enrico Preziosi make everything easier, but it’s not finalised yet. We still need to sign the paperwork and check a few details, so we’ll see,” Tare stated. Sculli’s return to Genoa was a bit of surprise especially since it kinda happened rather to fast as the striker was just sold in January 2011, which is halfway into last season. It seems that not being the main part of Lazio’s coach, Edy Reja, plan simply encouraged the ex-Juventus youth player to get back into his previous club and help them improving their current position in Serie A. 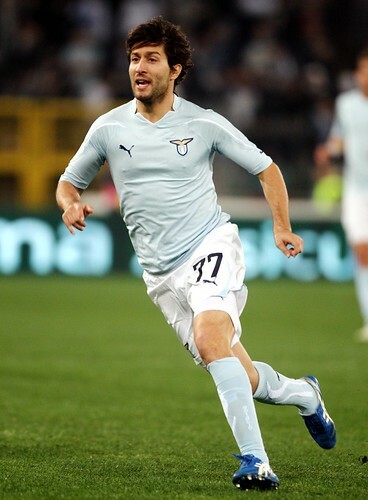 Meanwhile, beside talking about Sculli’s future, Tare also shared news about two other Lazio strikers, Libor Kozak and Emiliano Alfaro, who were also being heavily linked with a move away from the capital this January. According to the Sporting director, those two players will be staying with the Biancocelestin until this season ends as both are not being considered to be given away this January. Kozak is a fantastic player and his departure has never even been considered. Cesena and other clubs requested him, but he is staying with us. The same goes for Alfaro, who is training well.” Tare added.